Mayes honored as Doctor of the Year by Scleroderma Foundation The Scleroderma Foundation named Maureen Mayes, M.D., their 2017 Doctor of the Year in recognition of her ongoing work in patient education. Diabetes program earns ADA recognition UT Physicians education program receives recognition from the American Diabetes Association. The Wellness Effect: Programs Inspire Healthy Living UT Physicians provides wellness programs that inspire changes in daily living. Five ways to stay healthy during holiday travel UT Physicians offers cold and flu prevention tips during the holiday travel season. UT Physicians – Victory Earns National Recognition for Patient-Centered Care The National Committee for Quality Assurance has recognized the UT Physicians - Victory as a Level 3 Patient-Centered Medical Home (PCMH). Reaching Out to the Community with Complimentary Vaccines As part of the recovery effort in the aftermath of Hurricane Harvey, UT Physicians has hosted booths across the city to administer complimentary flu vaccines. $19 Flu Shots Offered at Several UT Physicians Clinics Looking to avoid the flu this season? A vaccine is the right approach to reducing your risk –or at least limiting how ill the virus can make you feel. Nurses Provide Calm Inside, While Storm Raged Outside During the worst of times, people count on heroes to step up and help them during their darkest hour. For UT Physicians, our team of heroes includes the staff on the 24-Hour Nurse Help Line. No Cost Vascular Screening Program Expands UT Physicians has expanded the dare to C.A.R.E. national vascular and disease management program across Greater Houston. UT Physicians Bayshore Family Practice Center Earns National Recognition for Patient-centered Care The National Committee for Quality Assurance has recognized the UT Physicians Bayshore Family Practice Center as a Level 3 Patient-Centered Medical Home (PCMH). $19 Sports Physical Special Offer UT Physicians offers $19 sports physicals at locations across the Greater Houston area. What do you do if someone has a seizure? Epilepsy, or a seizure disorder, is a medical condition in which there are periods of abnormal electrical brain activity. Seizures can cause a temporary change in a person’s physical behavior or awareness. It is important to know what you can do to provide first aid. New Study Focuses on Treatment for Epilepsy Caused By Tuberous Sclerosis A clinical trial of a drug that researchers hope can prevent or delay the onset of epilepsy in children with tuberous sclerosis has begun at McGovern Medical School. New Clinic to Open in North Houston UT Physicians Community Health & Wellness Center – Jensen is a new multispecialty clinic in north Houston. The center offers high-quality primary care and medical screenings for adults and children. Fun, Food, Entertainment at Rosenberg Grand Opening UT Physicians is offering an inside look at its new Rosenberg multispecialty clinic during a grand opening celebration filled with free family fun, food and entertainment. UT Physicians Spotlight: Global Understanding of Bipolar Disorder Increasing awareness of bipolar disorder is an important mission of behavioral health specialists at UT Physicians. Overcoming the stigma associated with the illness is crucial to bridging the gap between those affected and evidenced-based treatment. UT Physicians Team Provides Care in Guatemala In January 2017, A team of UT Physicians volunteers traveled to Guatemala on a medical mission trip planned by Faith in Practice, a non-profit organization. What is a Thyroid Nodule? UT Physicians expert explains the definition of a thyroid nodule and what patients should do if they feel a lump in their neck. UT Physicians Recognized with Patient Service Award UnitedHealthcare has recognized UT Physicians with its PATH Excellence in Patient Service Award. 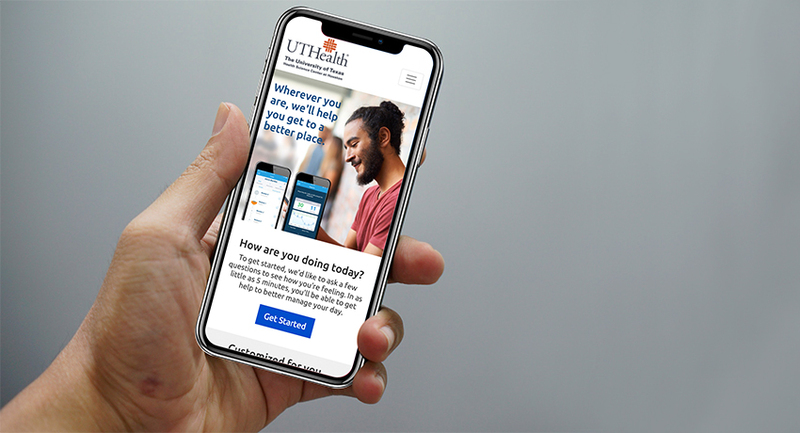 The accolade was presented to UT Physicians for our commitment to improving outcomes for members enrolled in UnitedHealthcare’s Medicare Advantage plans. UT Physicians Cast Specialist Recognized for Outstanding Service Congratulations to Brett Brinkley, UT Physicians 2016 Employee of the Year. Brinkley, a cast specialist at Ironman Sports Medicine Institute Memorial City, is known for being patient and kind with pediatric patients. Get Screened: Cervical Health Awareness Month January is cervical health awareness month—time to schedule wellness exams and encourage those around us to be proactive in fighting against cervical cancer. UT Physicians Community Health & Wellness Center – Beaumont Now Open UT Physicians, the medical practice of McGovern Medical School at UTHealth, has responded to the shortage of health care providers in Southeast Texas by opening UT Physicians Community Health & Wellness Center – Beaumont.